The latest economic data from Dangote’s home country tend to support his view. GDP grew by 0.55 percent in the second quarter of the year, which, although a meager growth rate, was welcomed because it signaled Nigeria’s exit from the recession that it plunged into due to the oil price crash. 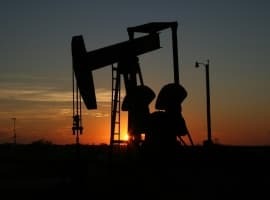 The problem with this recovery, according to local economists, is that it was mainly a result of improving international oil prices rather than any actual economic growth at home. The figure, in other words, once again highlighted Nigeria’s reliance on crude oil revenues for its growth prospects. Related: As OPEC Compliance Peaks, Can The Drawdowns Continue? Yet the country is already taking steps toward diversifying its economy away from the world’s most traded commodity. These steps were, like elsewhere, prompted by the oil price crash, and in Nigeria took the shape of a Zero Oil Agenda. The agenda, approved by President Muhammadu Buhari’s government, aims to wean the country off oil. The prioritization of agriculture as a greater export revenue stream is in perfect tune with Dangote’s business plans, especially with strong government support for the growth of this stream. The billionaire has $5 billion invested and planned for agricultural projects at home through 2020. Incidentally, he also spent $11 billion on the construction of a 650,000 bpd oil refinery, so it seems that oil does have a place in a diversified portfolio of businesses. Related: What Happens If Trump Trashes The Iran Nuclear Deal? The subject of economic diversification away from oil has grown popular in the last couple of years, for obvious reasons. Yet efforts by major oil producers have shown that it’s easier said than done. Perhaps the biggest challenge to these efforts is the improvement in oil prices – it’s all too easy to slip back into the familiar rut. So, in this sense, Dangote is right: lower oil prices will provide the necessary stimulus to put more effort into diversification. Nigeria, which was exempted from OPEC’s oil production cut deal, said it is ready to join the pact when its daily output hits 1.8 million barrels. 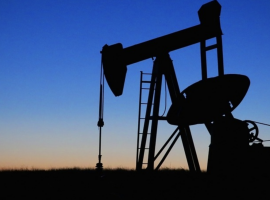 In August, according to OPEC’s secondary sources, this output averaged 1.86 million bpd. Nigerian records put it at 1.74 million bpd. It seems Africa’s second-largest oil producer isn’t willing to relinquish its hold on oil too quickly.